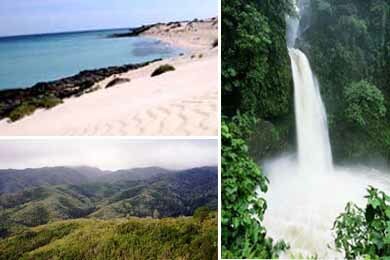 National, Natural and Ecotourism Parks in the Canary Islands. Explore and enjoy the best National, natural parks and protected sites in the Canary Islands for ecotourism, nature tourism or adventure. If you’re in love by ecotourism and nature on its purest state, in the Canary Islands you’ll find an idyllic place as in every island you might find many national parks, natural parks and protected landscapes of much beauty as well as welcoming towns with many costumes and traditions. In all the spaces and protected sites in the Canary Islands you’ll be able to find beautiful and unequal volcanic landscapes as for example the island of Lanzarote and Fuerteventura or green landscapes of La Gomera or La Palma where you’ll be able to unplug for your daily life. Tenerife houses the El Teide National Park, the most known park in the Canary Islands. 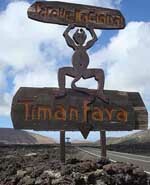 This is a must-visit site if you’re in Tenerife. Tenerife has also many other natural spaces and beautiful parks. The island has many diverse landscapes from the arid Dunes of Maspalomas to the leafy Rural Park of Doramas. Lanzarote has, Timanfaya, one of the most famous and visited parks in the Canary Islands, as well as other protected spaces that offer amazing volcanic landscapes as La Geria. The natural parks and protected sites in Fuerteventura are characterized by their arid landscape. The most known parks are the Dunas de Corralejo and the Natural park of Isla de Lobos. Discover them. La Palma is famous for its leafy nature landscapes which might be observed both in the Natural Park of Caldera de Taburiente and multiple other protected spaces. The island of La Gomera has the famous Garajonay National Park, a must-visit park for those who are on the island, as well as other interesting rural parks and protected spaces. Don’t miss visiting it. On this small island you’ll find many beautiful landscapes from volcanic cones to high pine forests.